A typical training camp before a professional boxing match varies between 6 to 8 weeks. During these crucial weeks, the fighter undergoes a series of intense training, preparing his body for the upcoming fight. The main difference between a professional and amateur fighter is the time they have to prepare. Professional fighters are usually notified about their fights weeks in advance, and have plenty of time leading up to their fight. Amateur fighters however, mostly fight within short notice, so their preparation time varies between a week to about 4 weeks. Acording to the United States Olympic Committee, the high demands in speed, endurance and durability easily makes boxing the most difficult out of 60 other sports. It is important to remember that boxing is a high-risk combat sport, regardless whether you’re a professional or amateur boxer, the steps taken to prepare for a fight are equally crucial. The Ring's coach and Professional Boxer Hamzah Farouk during one of his pre-fight sparring sessions. Part of the journey to becoming a fighter is planning a healthy diet and nutrition. 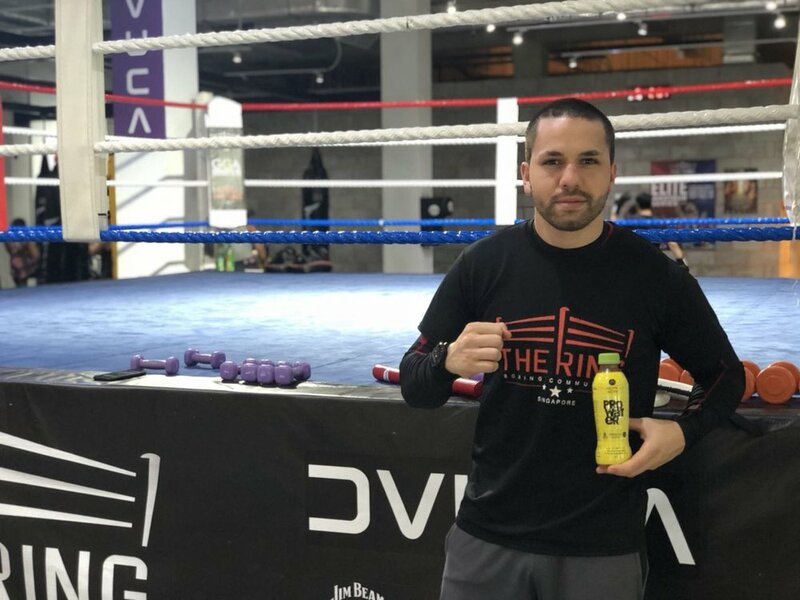 Coach Abdelelah Karroum or “Abdou” of The Ring says, “It is especially important not to give in to your cravings during the weeks leading up to the fight because on top of training, you have to watch your weight”. If a fighter does not plan his diet properly, he might risk not being able to make weight during his weigh-ins. Also, extreme weight cuts can be detrimental to the body – the sudden loss of water and vital nutrients could cause your organs to shut down. Hence, most fighters work with their coaches to develop a realistic diet plan, which they must strictly adhere to. Protein shakes, or protein water are great meal replacements that can provide the same energy and nutrients your body needs during training cam! Abdelelah or “Abdou”, coach of The Ring and Professional Fighter. While it is important to focus on your physique during training camp, it is also crucial that you rehearse your game plan mentally. Professional Mixed Martial Arts fighter Kirstie Gannaway of Golden Glove Asia Promotions emphasizes the importance of having a focused mentality prior to the fight. “Many people fail to realise that fighting is not only a physical sport; it is also a mental game.” During the fight, analyzing your opponent and adjusting your strategy accordingly is also a key component in bagging the win. Kirstie Gannaway of Golden Glove Asia Promotions at her training session. What makes The Ring Boxing Community stand out is our consistent commitment to supporting the local boxing community. 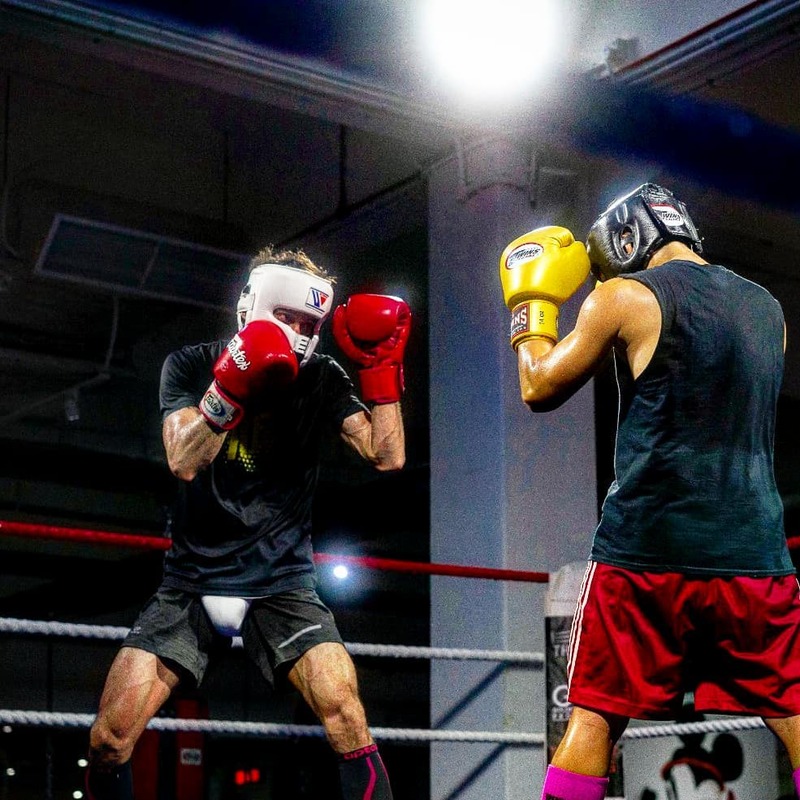 With our weekly sparring sessions, Friendly Fight Fridays, Amateur Fight Nights and The Ring Fighting Championship, we aim to provide a safe and holistic platform to promote the local boxing community in Singapore. Our newly launched “School Of Boxing” programme, is a levelled coaching system, where members will eventually have the opportunity to join our fight team through a series of focused and specialized trainings. Find out more about our revised schedule at https://www.thering.sg/schedule/.